July 19 2010 - Air Transport Association had filed a petition with the United States Court of Appeals For The District Of Columbia Circuit challenging a Department of Transportation rule that allows airports the ability to adjust their landing fees based on an airlines passenger scheduling performance. The court heard testimony from all parties involved and concluded that airports have the right to protect passengers from inconvenient flight delays. The Air Transport Association (ATA) is America?s oldest and largest airline trade association. ATA?s 16 member airlines and their affiliates transport more than 90 percent of U.S. airline passenger and cargo traffic. U.S. airlines founded the association in 1936 and it is based in Washington, D.C.. In order to reduce congestion at major airports the Department of Transportation in 2008 amended its 1996 Policy Regarding Airport Rates and Charges. The Amendments allow an airport to charge aircraft higher landing fees at peak times, a practice known as congestion pricing. Air Transport Association of America (ATA), on behalf of U.S. scheduled airlines, petitioned the court for review, arguing the Amendments allow airports to charge unreasonable and discriminatory fees, allow state and local airport authorities to charge fees that are preempted by federal law, provide inadequate guidance to airports on how the DOT will evaluate the reasonableness of the fees, and constitute an unexplained reversal of prior policy. As the primary manager of the Nation?s air transportation system, the DOT determines whether the fees an airport charges its users comply with the various federal statutes requiring that the fees be reasonable. The Secretary of Transportation is required by statute to publish regulations ?establishing ... the standards or guidelines? he will use to evaluate the reasonableness of an airport?s fees. 49 U.S.C.? 47129(b)(2). This case involves a challenge to one set of regulations promulgated under that statute. The Problem of Congestion in the 12 years between the promulgation of the 1996 Policy and of the 2008 Amendments, the number of landings by airlines in the United States increased more than 25%, to 10.3 million from 8.2 million per year. This increase in traffic has led to more frequent and longer delays; in 2007, for instance, ?flight arrivals were delayed by a total of 4.3 million hours.? U.S. Congress Joint Economic Committee, Report, Your Flight Has Been Delayed Again: Flight Delays Cost Passengers, Airlines, and the U.S. Economy Billions 1 (May 22, 2008). The causes for delay range from inclement weather to mechanical problems; this case involved delays caused by excess demand for airport takeoff and landing capacity. Airports Council International (ACI), which represents governmental bodies that own and operate major airports in the U.S., including 36 of the 37 airports the DOT deems ?currently congested,? had intervened in support of the DOT. In rejecting the claims of the Air Transport Association, the court of appeals agreed with the Airports Council International-North America (ACI-NA) and the Department of Transportation (DOT), upholding federal regulations that govern airport landing fees. Airports Council International (North America) is a non profit organization, whose prime purpose is to advance the interests of airports and to promote professional excellence in airport management and operations. By fostering cooperation amongst airports, world aviation organizations and business partners, ACI seeks to providing the travelling public a safe, secure, efficient and environmentally responsible air transport system. ?ACI-NA led the industry effort for more than two years by filing comments in the DOT rulemaking and intervening in support of the rates and charges amendments in the appeal proceeding. This landmark decision strongly upholds the rights of airport proprietors to manage airfield congestion and help prevent delays by modifying landing fees,? Principato said. Principato was pleased that the court recognized the reality of air travel and the challenges airports and DOT face when airlines over schedule during peak travel periods. 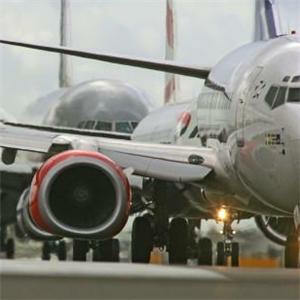 ?As the airspace is used ever more intensively, it is unsurprising that the department would update its approach to landing fees in an effort to relieve airport congestion. So long as it complies with the applicable statues, its creativity should be welcomed on its merits, not spurned for its novelty,? the court concluded. The court?s decision specifically permits airports to impose a two-part landing fee structure and vary landing fees throughout the day at congested airports. Faced with higher fees, the airlines can shift flights to less traveled hours, change the size of the aircraft flown during peak periods or pay higher fees to fly at the busiest hours.